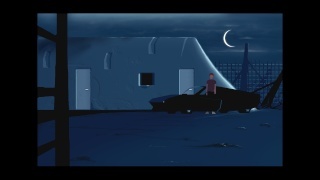 The gameplay in Another World is an interesting mix between action platforming and visual storytelling and it all blends together to make the game feel more like a visual novel much in the same way that most Telltale games present their story which is unusual for a game originally released in the early 90's. The action platforming segments require alot of trial and error and will test the limits of your mental endurance. Another world is fairly short, but is extremely difficult. It's certainly not a game for everyone, but if you like seriously challenging platformers you'll be right at home with this game! The controls in the game are decent, but aren't as responsive as one would hope for in an action platforming title. Even so it won't be the reason for rage quiting in this game. The Off-TV play is a nice added feature and an interesting thing to note is somehow the developer has managed to sync the Gamepad stream perfectly with the console meaning that there are absolutely no frames dropped or delayed between the Gamepad and TV which is an accomplishment even Nintendo has yet to succeed in as of yet and is certainly impressive to say the least! 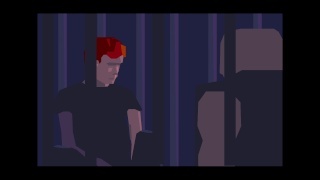 The visual style of the game was unique in the original release. It was similar to the Japanese only visual novel sequel to Chrono Trigger "titled Radical Dreamers", however the newly remastered graphics look much more crisp and detailed. The characters and backgrounds truly look like a hand-drawn piece of artwork that has come to life. You are also given the option to change the graphics style from original to remastered during the game by pressing the Y button which is a neat little feature! The sound effects and music are very atmospheric and fit the mood of the game very nicely while the Gamepad audio is very loud and easy to hear during Off-TV play "unlike most games" you might not want to have the Gamepad volume set to max otherwise your speakers could become damaged. All in all this game is a audio-visual treat that will impress even modern gamers with its aesthetic style and atmospheric audio! 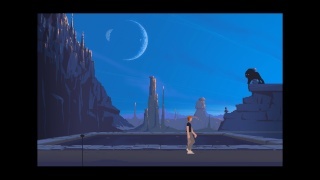 With superb story-telling and a unparalleled aesthetic artstyle for a game of its age that still looks impressive today Another World is a truly fantastic title that will draw you into its fantastical world while the atmospheric audio and music will keep you immersed. Although the controls aren't quite as responsive as we'd like they still aren't bad, however if you don't like extremely challenging games then you should avoid this one because it's one of the most challenging eshop games yet. If you do like a challenge then we highly recommend this superb title! This review is now live! Feel free to leave us your comments. This game sounds super cool! Maybe I should download this game because it sounds so beautiful? I might download this sometime. I'm definitely considering taking a chance and downloading this game!